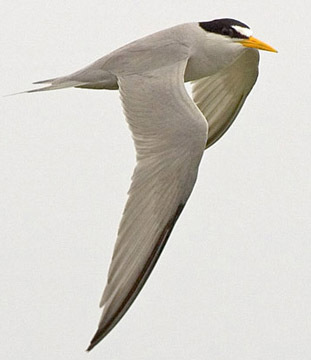 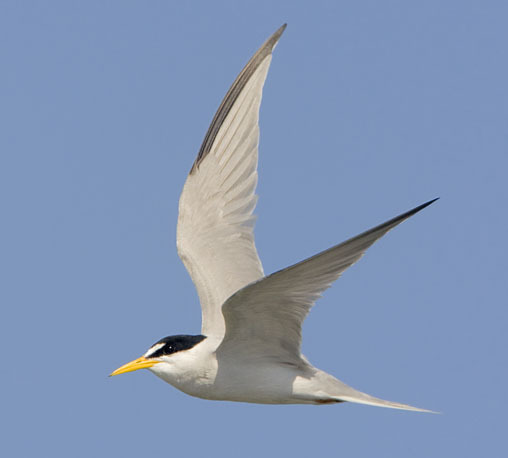 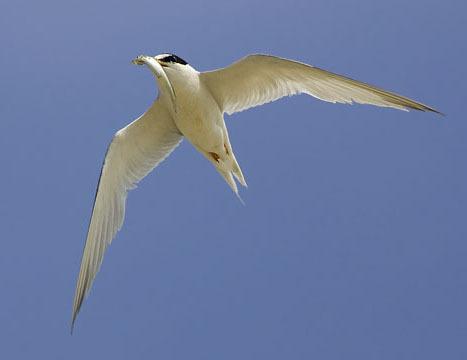 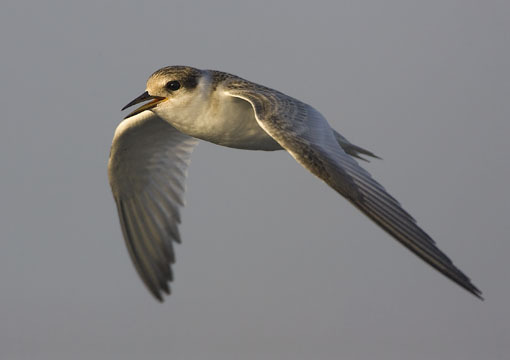 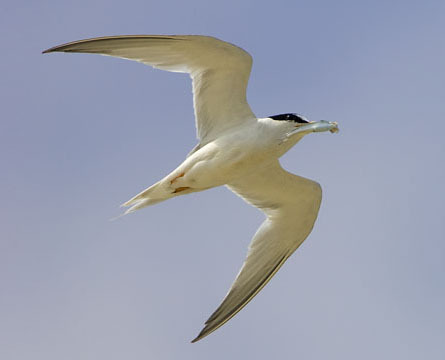 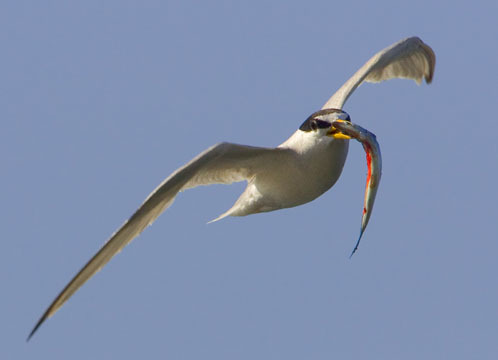 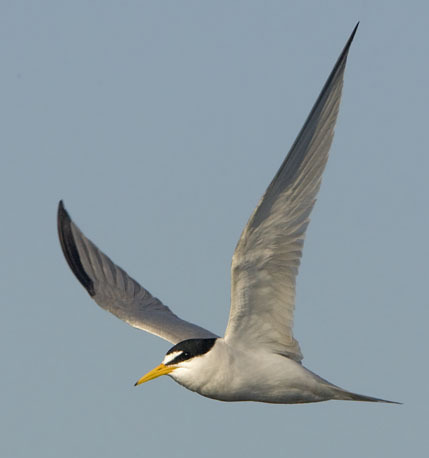 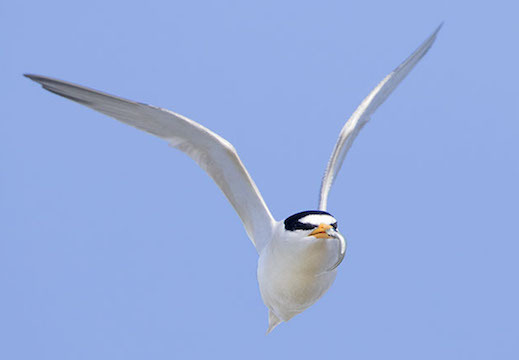 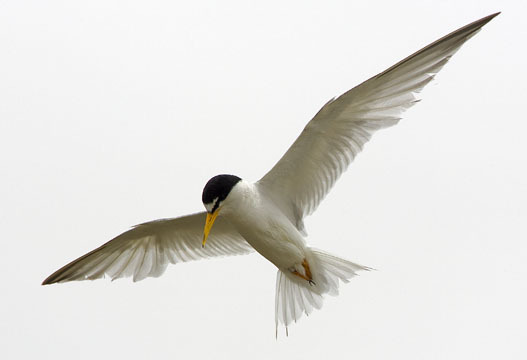 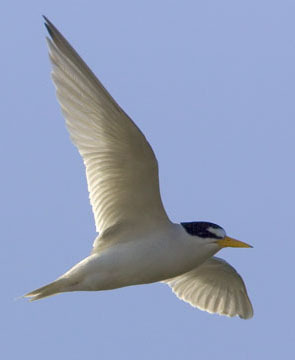 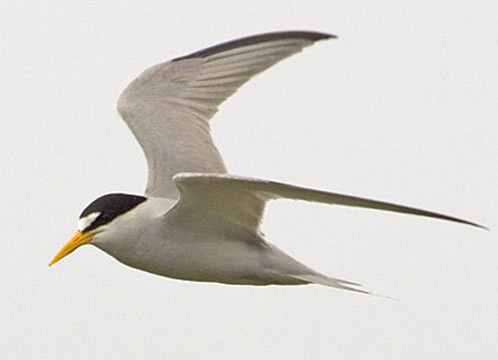 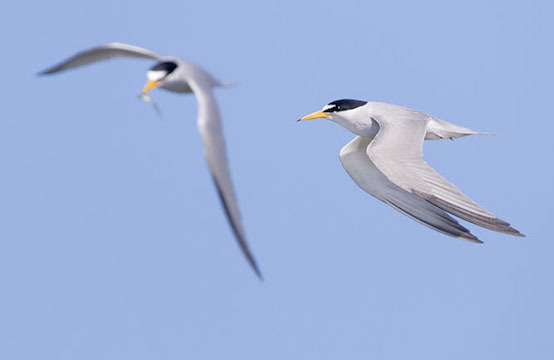 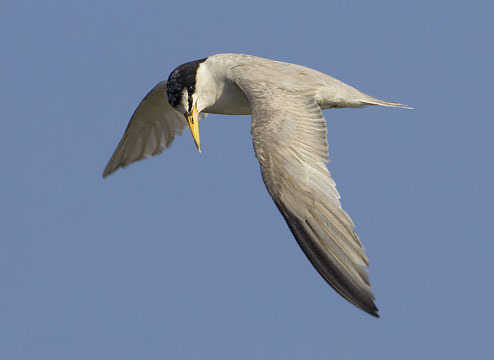 Various subspecies of least terns are found across much of the planet, but are a threatened species in California, largely because their preferred nesting beaches are also popular with bathers, dogs, joggers, volleyball players, and (in one or two military bases) Marines on war games. 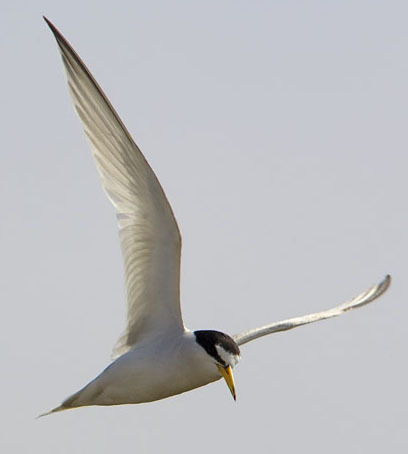 As their name implies, least terns are quite small, and adults can be easily identified by their yellow bills and white foreheads. 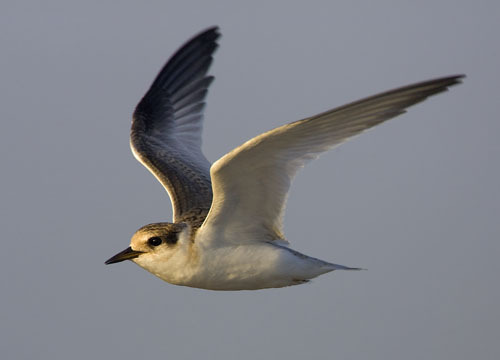 Juveniles (second row below) are plainer and have the mottled gray-brown plumage of many young terns; they can be best recognized by small size and delicate, almost butterfly-like flight. 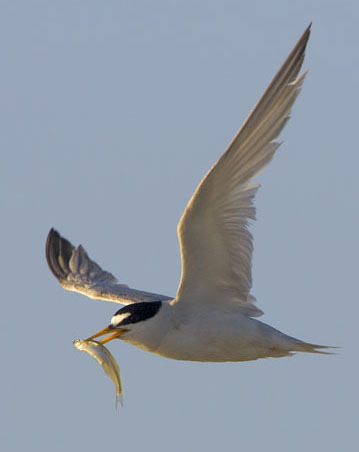 These least terns were fishing the waters of Bolsa Chica estuary in coastal Orange County, California. 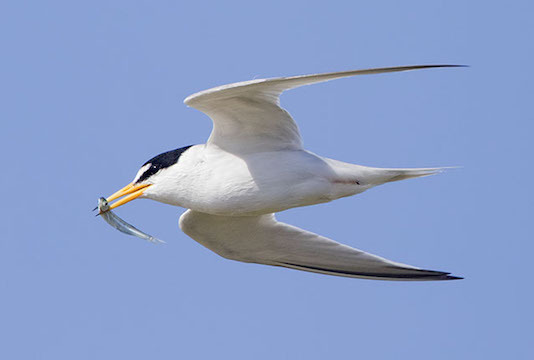 It's nice to see delicate little birds dutifully bringing fresh food to their hungry young, but as some of these photos show, it's not much fun for the food (here, small fish). 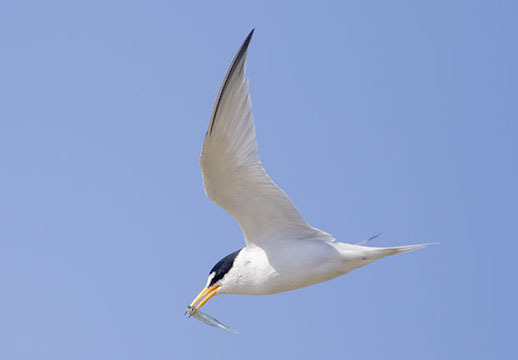 Bolsa Chica has a small protected island and some fenced-off areas that are used by several species of terns for nesting, and hopefully will boost the prospects of least (and other) terns. 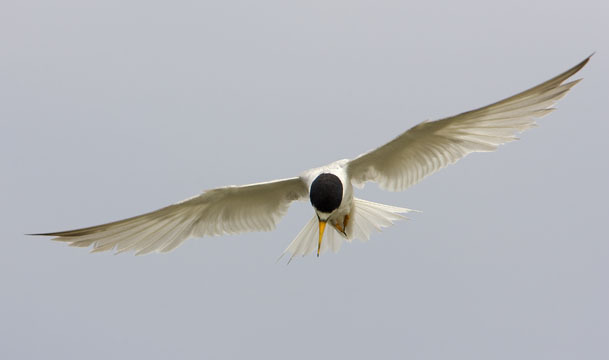 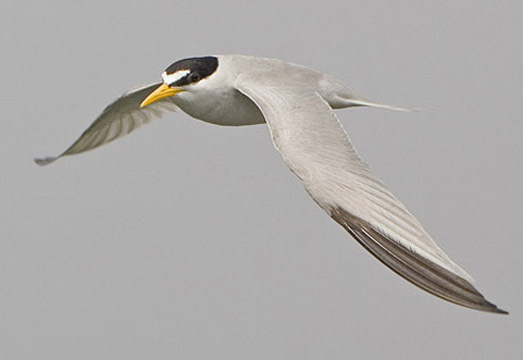 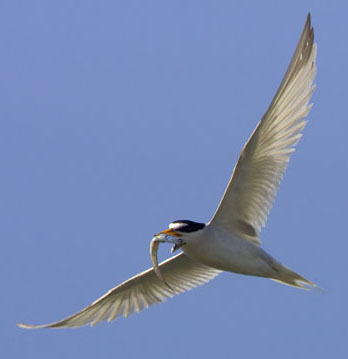 Go to this page for images of sitting least terns, and to this page for more pictures of least terns in flight. 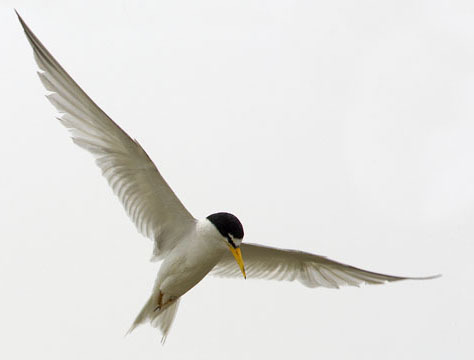 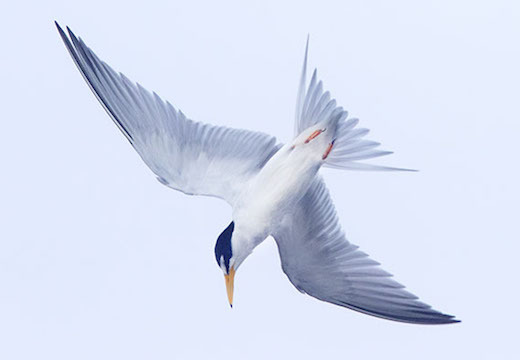 Click here for more flight pictures of elegant terns, royal terns, Forster's terns, and Caspian terns.